A delightful and powerful portrayal of the Duke and Duchess of Newcastle’s Clumber spaniels in their kennels at Clumber Park, Nottinghamshire. 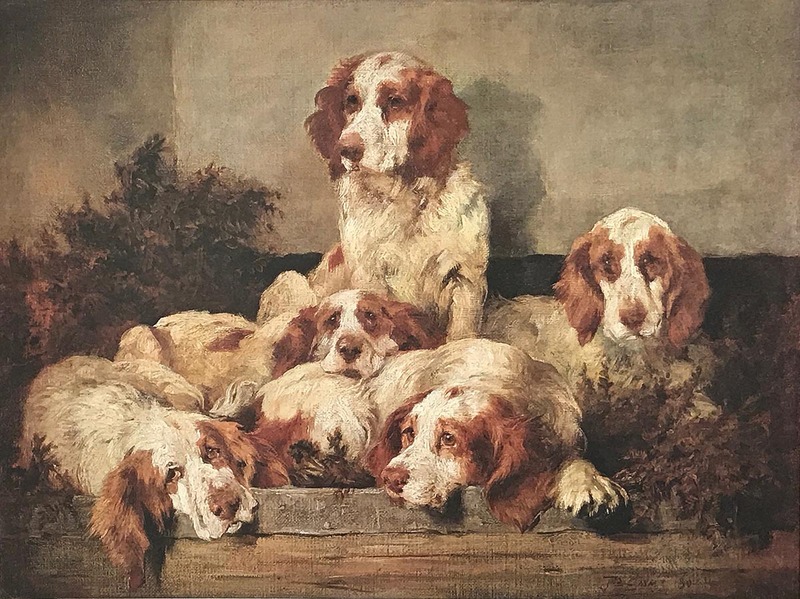 Dated 1880, it is probably the first of the several studies of this famous kennel undertaken by John Emms during visits to the breed’s ancestral home, and it is believed to be the single work depicting Clumbers he exhibited at the Royal Academy, in 1882. A fine quality print, a careful and faithful reproduction of the original painting in oils, available as a limited edition of 355 copies, individually numbered. Dimensions (including border) approx. 18 x 22 in. (45 x 56 cm. ).